Come and take a ride with Casey Jr. Circus Train™, spend some time with Chip and Dale at the Chip ‘n Dale’ Treehouse™, or explore the Rivers of America with Davy Crockett’s Explorer Canoes™. Of course, it will be difficult to pull the kids away from the magic of Mickey’s Toontown™ with Goofy’s Playhouse™, Minnie’s House™ and many other magical places. If you are looking for a little more excitement, prepare to be scared at the Haunted Mansion™ or take on an adventure with Indiana Jones™ Adventure. No matter what type of fun you prefer, you are sure to find plenty of thrills at Disneyland®, the place where dreams really do come true. You can also find plenty of shopping and dining options within walking distance of our Anaheim hotel. We aim to please with a great location so you can spend every ounce of time exploring the wonders of the area. 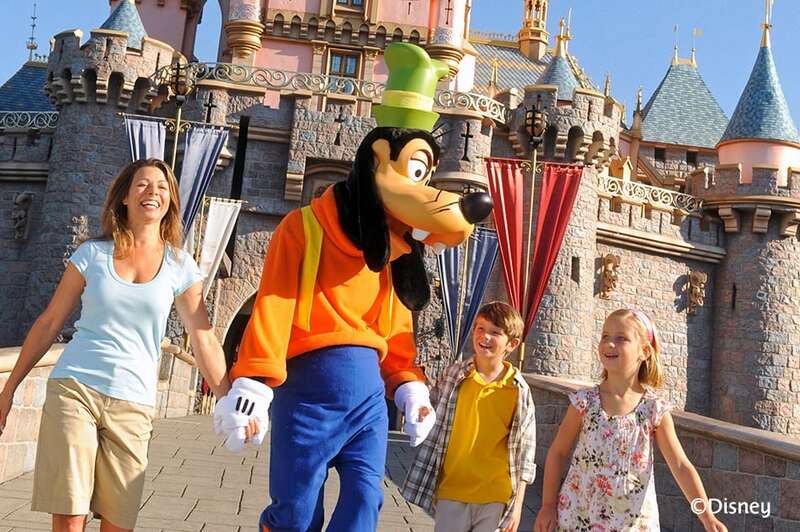 Come and spend some time at the “Happiest Place on Earth” and make lifelong memories with your family at Disneyland®, the land of enchantment. Just two blocks away from all the magic, our Disneyland® hotel, the BEST WESTERN PLUS Pavilions, provides you with a great location, numerous amenities and low rates so you never have to worry about your accommodations while here to see Mickey and Minnie.